2. For allergy-, acne-, and rosacea-prone skin: Patients with allergy-prone skin or conditions such as acne or rosacea should avoid products containing preservatives or fragrances, as well as those containing PABA or oxybenzone. Again, the ingredients least likely to cause skin reactions are the physical sunscreens, as well as those made with salicylates and ecamsule.10 Allergy prone and rosacea patients should also avoid sunscreens containing alcohol. Patients with acne, however, may find gel formulas, which usually contain alcohol, more drying and less likely to aggravate acne. Acne-prone patients should avoid greasy sunscreens (often marketed as “creams”), since they may exacerbate breakouts; the UVB filter ensulizole has a lighter, less oily consistency than most other chemical sunscreens.11 However, people on topical acne medications, which tend to be drying, may find gels too irritating on their sensitized skin and may benefit from a light lotion or cream base. Since some acne medications increase sun sensitivity, making wearers more vulnerable to burning and skin damage, rigorous daily sun protection is especially important. 3. 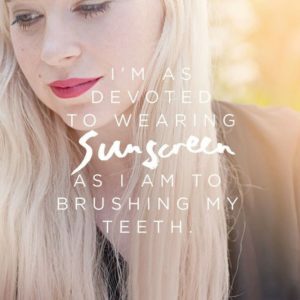 For dry skin: Dry skin can benefit from moisturizing sunscreens. Numerous moisturizers are used in sunscreens; popular ones include lanolin, oils, and silicones such as dimethicone. Moisturizing sunscreens are often formulated as creams, lotions, or ointments, so look for these terms on the label. 4. For people with melasma, a history of skin cancer, or very fair skin: For patients with a blotchy brown discoloration of the skin called melasma, those who have had skin cancer, or those who are very fair, sunscreen with an SPF of 30+ is recommended daily for extra protection. 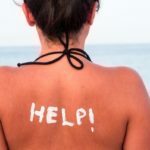 Since most people do not actually apply enough sunscreen to achieve the SPF listed on the container, frequent reapplication (after two hours out of doors or immediately after swimming or sweating heavily) is especially important. 5. For darker skin tones: Individuals with darker skin who tan easily and rarely burn may feel they do not need to use sunscreen. However, like sunburn, a tan is the result of DNA damage from exposure to the sun’s harmful UV radiation. Darker-skinned people may also be wary of using physical sunscreens, especially titanium-based products, because they can look chalky and white on the skin.12 Newer preparations, however, tend to be micronized, which means the particles are small enough to allow them to blend in and disappear into the skin. Chemical sunscreens are also an option; look for a broad-spectrum sunscreen with an SPF of 15+. 6. For the older person: Although older individuals may have already received large amounts of UV light exposure in their lifetime, they can still benefit from sunscreen use. At any age, unprotected sun exposure increases the risk of developing new skin cancers and precancers; it also accelerates skin aging, leading to age spots, wrinkles, sagging, and leathery skin. Older people with decreased mobility may have a hard time applying sunscreen to areas such as the legs and back; for them, spray-on sunscreens may be a great option — they are now available both in chemical and physical formulations. 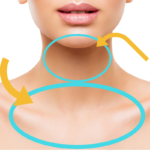 Sprays should be applied until an even sheen appears on the skin.